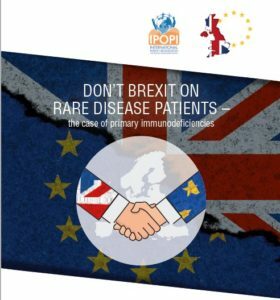 IPOPI’s 8th Primary Immunodeficiency Forum took place at the European Parliament on January 24 and focused on the impact of Brexit for Rare Diseases patients under the motto Don’t Brexit on Rare Diseases Patients – the case of primary immunodeficiencies. 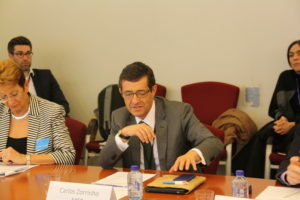 Members of the European Parliament (MEPs) Carlos Zorrinho (S&D, Portugal) and Seb Dance (S&D, UK) chaired the event and MEPs Linda McAvan, Catherine Bearder, Mairead McGuinness, Marian Harkin and Glenis Willmott offered their support to IPOPI’s efforts. The meeting resulted in the launch of a set of Recommendations on PID care following Brexit for UK and EU policy makers aimed at protecting PID and rare disease patients in the Brexit process. The meeting brought together European policy makers, patient representatives, and health care professionals from several European countries. The European Haemophilia Consortium (EHC) provided the perspective of another rare disease. 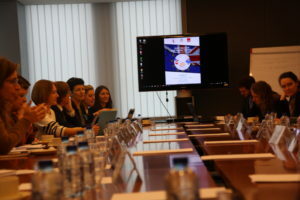 Participants stressed the importance of maintaining the cooperation of EU member states and the UK in cross border healthcare and research even after Britain’s exit from the EU. EU membership brought many benefits to European Rare Diseases patients. The European Directive on Patients’ Rights in Cross Border Healthcare is a great example as it allowed patients with rare conditions to be referred for treatment in the member state with the best treatment for their needs. British healthcare centres have been among the leading forces for new treatments and multicentre clinical trials for PIDs. Brexit might have a negative impact for European patients and on scientific research if these aspects are not taken into consideration in the upcoming policy discussions. The Recommendations on PID care following Brexit were launched on March 6 and are a tailor-made case-study based on primary immunodeficiencies. 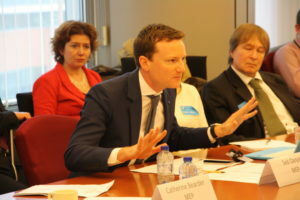 They aim to ensure that patients with PIDs and other rare diseases both in EU and in the UK continue to benefit from the best possible care and that research and collaboration between healthcare professionals and researchers in Europe after Brexit may continue. The paper calls upon the UK government and EU negotiators to ensure that even though the negotiations prioritise issues of trade, the health of all European citizens is on the agenda of negotiations that seek a positive collaborative future.